Youtility—creating marketing that is truly, inherently useful—is the first big umbrella marketing platform of the age of social and mobile connectivity. 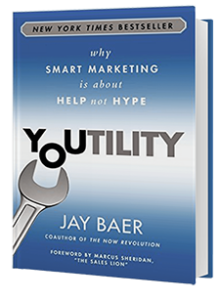 If you haven’t bought Jay Baer’s book Youtility, stop what you’re doing and do that. I swear, this is 2014’s big thing.